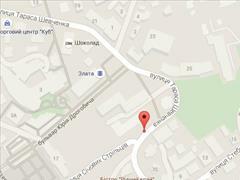 Mini-hotel «Jam» is located in the heart of Truskavets resort, it is in 100 meters from the lower pump room. There is «Zlata» cinema nearby as well as the best spa center of the town «Med-Palace», where guests can be provided with spa treatment and procedures, different entertainment for adults and children. It takes 5-7 minutes to the railway station go on foot. Mini-hotel «Jam» has been welcoming guests since 2009. It is a modern building with clean, light and spacious rooms, newly furnished and decorated with paintings. The reception operates 24 hours and the receptionists of the hotel will help to arrange treatment, meal and entertainment for the guests of this hotel. There is parking for 6 cars near the hotel. There are 10 rooms of different levels of comfort in «Jam» mini-hotel . They can be from economy class to junior suite ones. • bathroom with the high quality of sanitary engineering (it is separate from the room), sets of towels, hair-dryer, cosmetic kits. • bathroom with the high quality of sanitary engineering, sets of towels, hair-dryer, cosmetic kits. • bathroom with he high quality of sanitary engineering, hydro massage bath, sets of towels, hair-dryer, cosmetic kits and bathrobes. Guests can order three meals a day in the nearest restaurants or visit one of the numerous cafes of Truskavets. 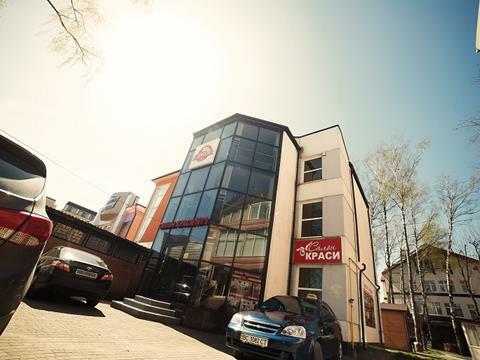 Price per accommodation in «Gem» mini-hotel is indicated per room per night without meal. *Breakfasts are not included in the price. *Price for children under 6 years is free. *Price for children from 6 to 12 is 50 UAH. *Price for children from 12 to 18 is 70 UAH. *Price for extra bed is 100 UAH. *The prices can be changed to the New Year, May holidays, City Day, Independence Day, Jazz Fest and more. • stay with pets (on request). • spa procedures are 120 UAH per person (spa-zone of Mirotel Med-Palace hotel). Junior suite 2-4-bed room with double bed, necessary furniture, mini-bar, TV, a bathroom with jacuzzi. Standard 2-4-bed room with double bed, necessary furniture, minibar, TV, bathroom with high-quality of sanitary engineering. Economy 2-bed room with double bed, necessary furniture, minibar, TV. Bathroom with high-quality of sanitary engineering. Economy improved 2-bed room with double bed, necessary furniture, minibar, TV, bathroom with high-quality of sanitary engineering.